For the past nine years, Barbara Foster has been the friendly face behind the front desk at the Rainier senior Center. She's there every Tuesday, greeting visitors and doing other small tasks as needed. 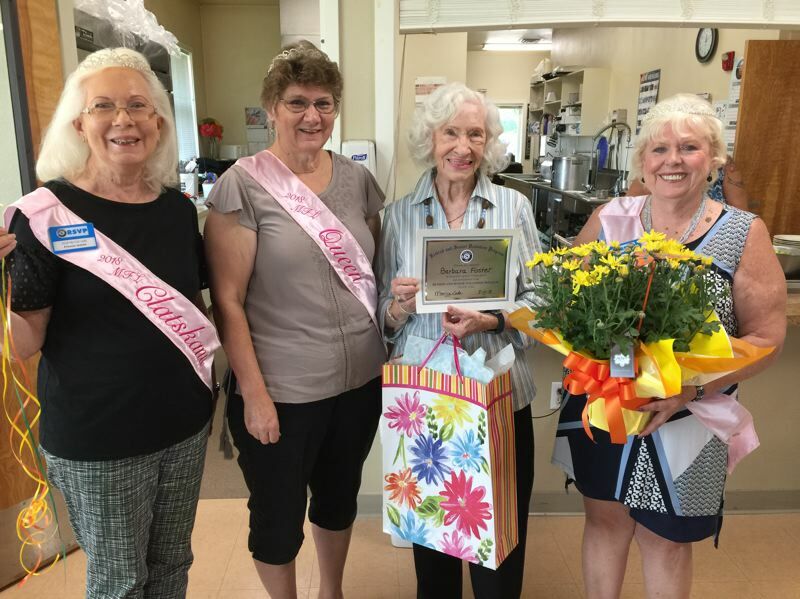 Foster's dedication to volunteering in her community earned her the volunteer of the month award from the Columbia County Retired Senior Volunteer Program. "The center runs on volunteers," says Jan Rich, president of the Ranier Senior Center. "It's the volunteers that bring people in. Barbara makes people feel welcome and comfortable." RSVP is a county-wide program that reaches out to people 55 and older to get them engaged in community service. The organization also recognizes senior volunteers in the community with a monthly volunteer award program. This month, RSVP reminds Rainier residents that the Rainier Senior Center relies on volunteers to function. Think you might have the time to give back? Call the Rainier Senior Center at (503) 556-3889.